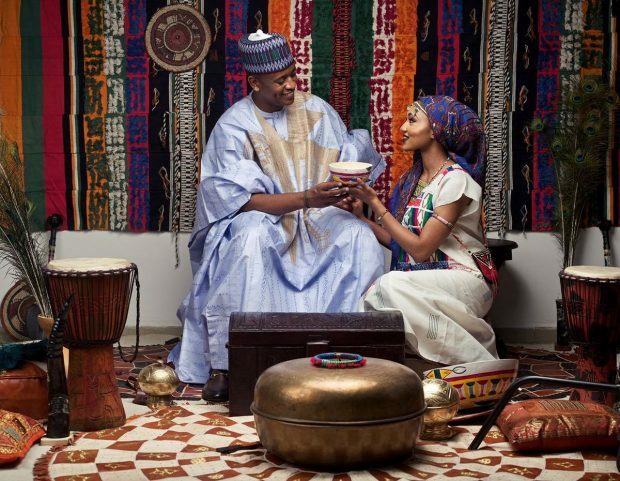 Zahra Buhari will be getting married tomorrow to Billionaire’s son, Ahmed Indimi, after series of activities leading to the wedding ceremony. The couple had their prenuptial wedding tea party last night in Abuja. Other activities like bridal shower and cocktail are some of the events lined up before the actual wedding, which will take place tomorrow. The second daughter of President Muhammadu Buhari, had wall size photos of her displayed all over at the tea party, “with different tone of pink colour and other similar variants”, Daily Trust disclosed. In a twitter message, her mother, Aisha Muhammed bid Nigerians to wish them well as they prepare to tie the knots tomorrow.